If you are caught driving on a suspended license in Ohio, you will be charged with Driving Under Suspension (DUS). This is a first-degree misdemeanor offense. An experienced criminal attorney can make a real difference in the outcome of this case and can help you find the best possible outcome for your situation. Contact Attorney Adam Burke today for a free consultation at (614) 280-9122. Driving on a suspended license means you were driving while your license is suspended through the Ohio Bureau of Motor Vehicles (BMV). This is different than if you have never had a license or if your license expired. If you are caught driving without a valid driver’s license, you will instead face a No Operator’s License charge. Driving Under Suspension is also different than Driving Under and an OVI Suspension. 1 year additional license suspension. 6 points on your driver’s license. Driving on a suspended license is a very common offense. Suspensions for lapsed insurance coverage are also very common. This is called a Non-compliance Suspension or an FRA Suspension (Financial Responsibility Administrative Suspension). For most people, giving up driving is not realistic. You may not realize that driving privileges are available for a Non-compliance Suspension. So like many people, you take your chances. You may owe a lot of money with the BMV and cannot afford to pay the reinstatement fees. Most people do not realize that filing a Chapter 7 Bankruptcy will erase these fees. So many people get stuck in the court system’s revolving door. They are charged with Driving Under Suspension again and again. This results in more suspensions and more BMV fees. The court system offers many options because Driving Under Suspension is so common and because it can lead to repeated charges. With a skilled criminal defense attorney handling your case, a plea bargain to a less serious charge or even a dismissal is usually possible. A criminal defense lawyer can help you get your driving privileges or even get your license back. Once you are able to drive legally, you will have a much better chance at a plea bargain or dismissal of your case. Stop taking chances. Get your license back. Get your life back. Discuss your case with an experienced criminal defense attorney and call Attorney Adam Burke at (614) 280-9122 for your free consultation now. 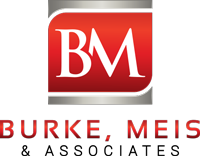 Adam G. Burke is a top Columbus criminal defense attorney. He represents clients in federal and state courts in Columbus, Ohio and surrounding areas. He has successfully defended men and women facing serious felony and misdemeanor charges. © 2019 Burke, Meis and Associates Llc. All Rights Reserved.